We bring novel innovation to the renewable energy and biofuels markets. The ZERE solution uses biomass waste such as wood, paper and grass clippings, or biorefinery waste as fuel for our patent pending process, which then feeds into an off the shelf power generation cycle to produce on-site combined heat and power. The system has inherent CO2 liquefaction and capture that provides a cheap, price stable, zero emission energy supply. The use of biomass combined with zero emissions leads to easy permitting and low site impact. ZERE’s Air Independent Internal Oxidation (AIIO) is a technology solution for generating zero emissions electric power and process heat (CHP). Fuel is oxidized internally using a solid stage oxygen carrier (metal oxide), capturing nearly 100% of the fuel energy and forming no pollutants. Carbon dioxide (CO2) captured from the oxidation is liquefied for sequestration or sale. The spent oxygen carrier is regenerated by reacting it with the oxygen in air, again forming no pollutants. The fuel energy is converted to electric power and heat by steam and/or gas turbine power cycles. The initial target plant size is between 1 and 10 MW. ZERE partners with, and targets waste aggregators with biomass waste. The aggregators provide the biomass fuel and the plant site, in exchange for ZERE power and/or heat. ZERE uses up biomass waste on-site, so there are no costs for transporting biomass. 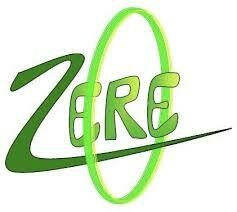 ZERE Energy and Biofuels, Inc. formerly Clean EnGen Group, LLC, was formed in 2008.